If your singing talents are more shower based than stage oriented, and you're not musically trained, Songsmith has been created especially for you. 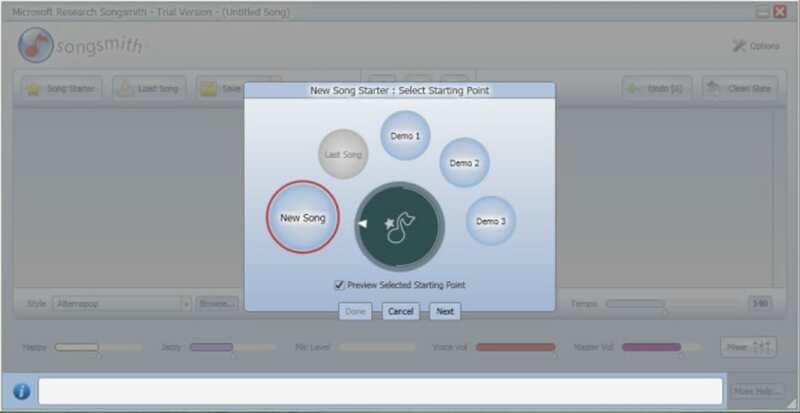 This Songsmith trial version gives you six hours to play with, which is actually quite a long time, as it only counts actual recording time in the program. It works a bit like an old Casio Keyboard. 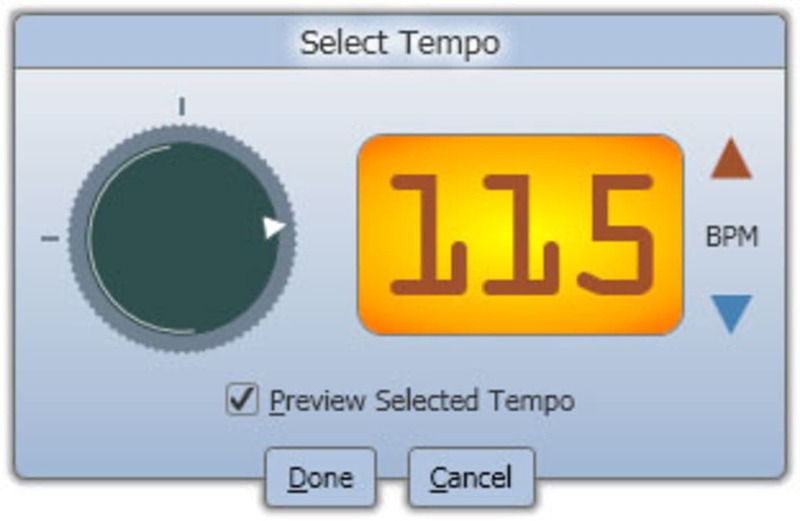 You start off by choosing a preset style, from techno to hip hop, bluegrass to salsa, then pick a tempo, and think up some words. 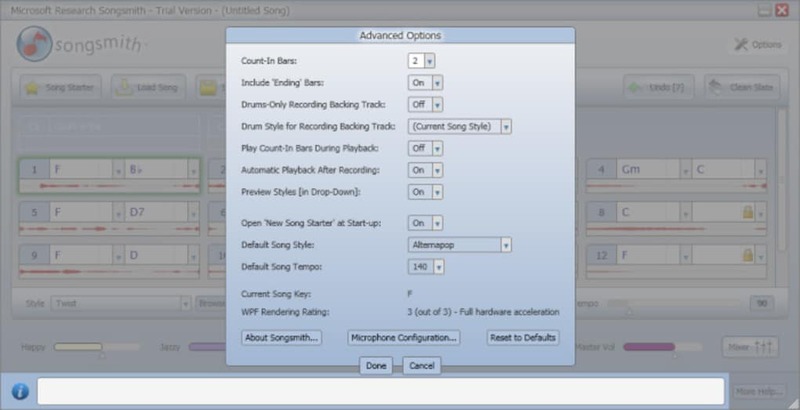 Once you have your lyrics, simply press record and sing them into your microphone in time with the beat. 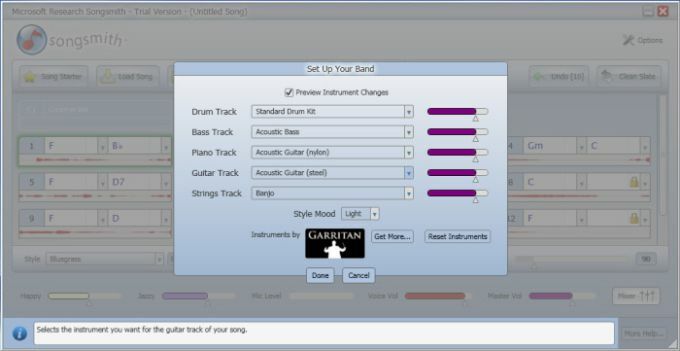 Don't worry about being in tune, as once you've finished, Songsmith will fit music around the tune you sang - however wonderful or awful it was! Songsmith really is incredibly easy to use, with a clear and simple interface, and the results are surprisingly good. Even if everything you do sounds like a cheap karaoke song, Songsmith is adept at picking up the tone you are making and tuning itself to what you're doing. 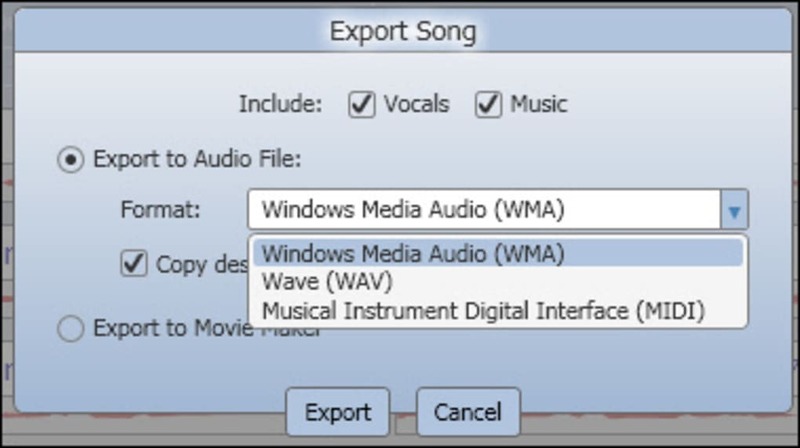 When your project is finished - you can mix your song a little too - you can save it or export it as a WMA, WAV or MIDI file and use it as you wish, from impressing girlfriends to amusing your friends. 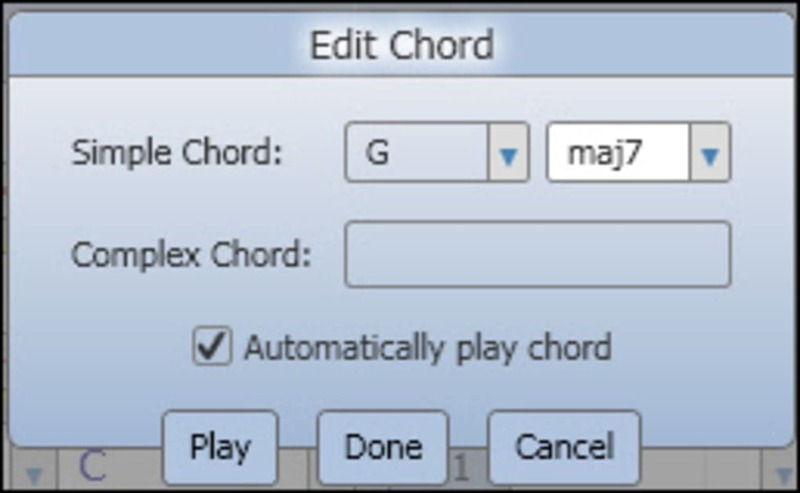 As well as using it for singing, you can use any melodic input, for example, play a violin through a microphone with Songsmith and it will still create a backing track to your tune. With the popularity of Karaoke, and the Singstar and Rock Band games, Microsoft have tried to tap into the same enthusiasm. It feels like reverse karaoke, and although it's easy, you still need to be able to write words and think up a tune. I can attest to it not being as easy as I thought. However, the speed with which you can make music makes it a really fun application which could easily become a party game of sorts. 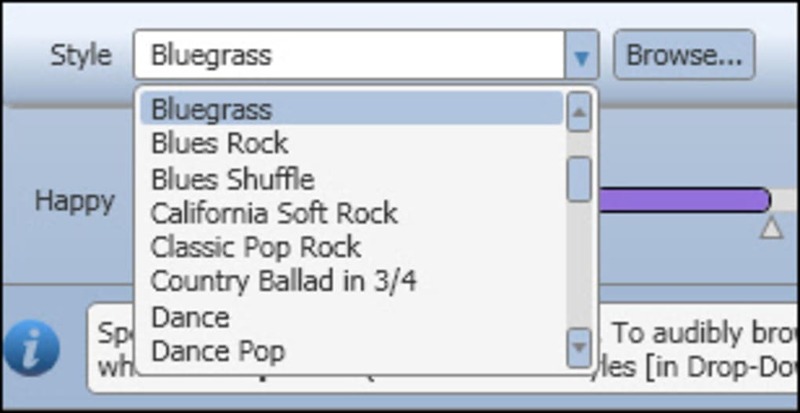 Songsmith is currently a Microsoft research project, and we have had some installation problems and instances of crashing, but these were rare. 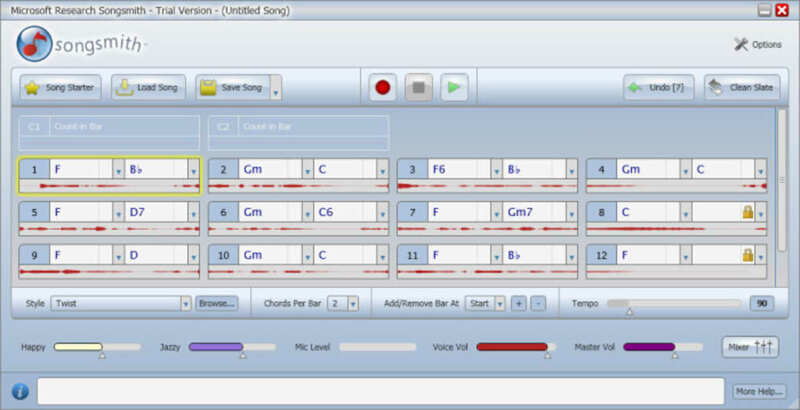 For budding pop stars, Songsmith is an incredibly easy way to create and record your songs. What do you think about Songsmith? Do you recommend it? Why?